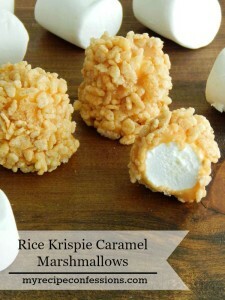 Pumpkin Spice Caramel Corn Pops was a big hit at my family party a few weeks ago. Even my three year old nephew who will only eat a handful of things loved them. 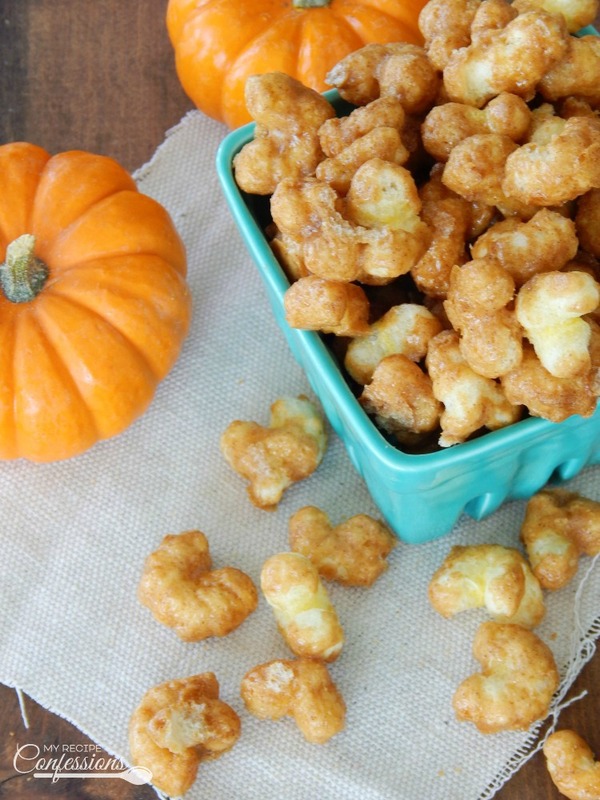 You might want to plan on doubling the recipe because these Pumpkin Spice Carmel Corn Pops are so hard to stay away from. Everybody who tries them ends up coming back for more and more. Don’t say I didn’t warn you. 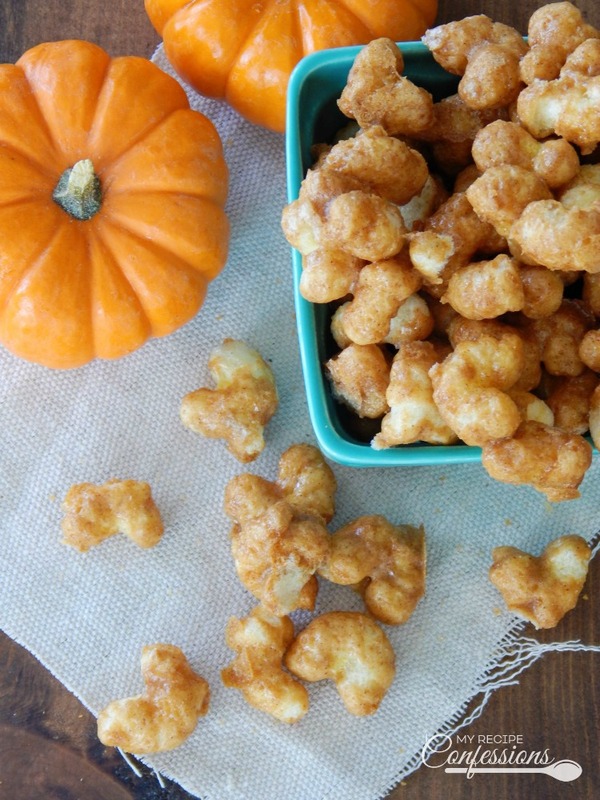 Pumpkin Spice Caramel Corn Pops aren’t sticky or messy. The great thing about the corn pops is that you don’t have to worry about the annoying hulls and hard kernels that you get with popcorn. I like to make my own pumpkin pie spice because I fill like it has a more vibrant flavor than the store-bought blend. You can find my recipe for Pumpkin Pie Spice here. If you don’t want to make your own, no worries you can totally use the store-bought pumpkin pie spice. Spray a baking sheet with baking spray and set aside. In a large sauce pan, melt the butter, corn syrup, and brown sugar over medium-high heat. Stirring constantly bring the mixture to a boil and cook for 2 minutes. Remove from heat and quickly stir the pumpkin pie spice extract and pumpkin pie spice in the caramel until mixed well. Add the baking soda and stir until the mixture starts to foam. 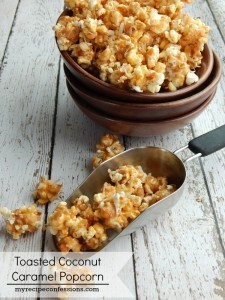 Gently mix the corn pops into the caramel until all of the corn pops are completely coated. Evenly spread the corn pops over the baking sheet. Place the baking sheet in the oven and bake for 45 minutes stirring the corn pops every 10 minutes. 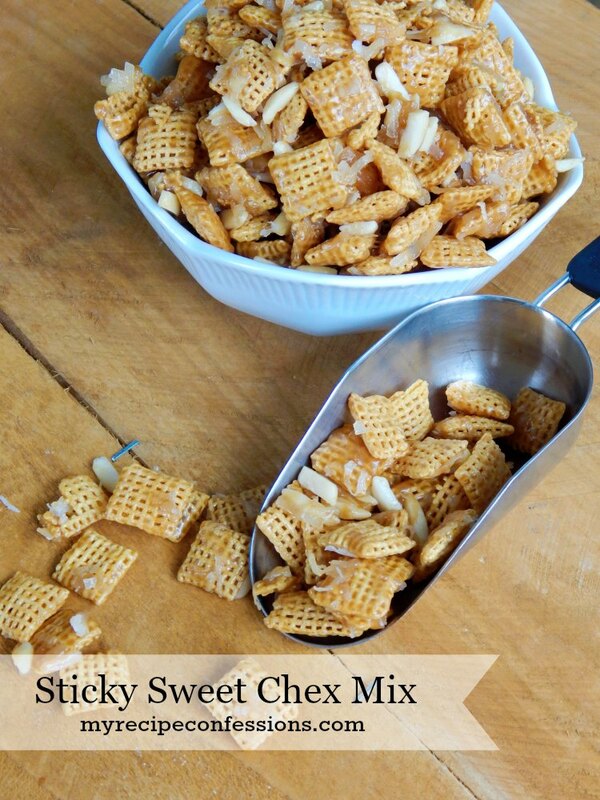 Remove the baking sheet from the oven and immediately break up the corn pops. Let the corn pops cool completely. Store any left overs in an air tight container.